Wow, what an amazing book. I have been intrigued by stories about women and their lives in Afghanistan and the Middle East for years. This one was a mix of an incredible story, or shall I say two stories of parallel lives a century apart, and the nightmare which is the life of many women in that nation. When I read these stories, I am incredibly grateful that I was born into the nation of Canada where women are treated as equals and have the same rights as men. Can you imagine a life where you are completely under the rule of the male of the household? Can you imagine a life where you are not allowed to go out even to shop for food without a male companion? And what do you do if there are no men in your life? Well, you can starve to death. Can you imagine a life where if you violate laws you will be executed, stoned to death? Take a moment and imagine yourself in that situation. They are throwing rocks at you, hitting you and inflicting incredible pain upon your body, over and over until you are finally knocked out and killed. Good grief! What kind of world is that? This story has all of it in it. The stoning, the fears, the loss of freedom, the beatings, the hopes and desires for something better. All mixed in together and covering more than just one woman’s life. The year is 2007 and the place is Kabul under the Taliban. Rahima is a young girl whose family is ruled by a drug-addicted father. The girls of the family rarely get to go out or to school. So they resort to an age-old tradition which personally, I had no idea existed. They dress Rahima up as a boy and send her out into the world as a male member of the family. The tradition is called bacha posh. But because Rahima learns all about the freedoms of men, she is almost ruined when she goes through puberty and suddenly finds herself married to a much older rebel fighter, a warrior who has successfully defeated Taliban. Her life descends into a living hell. This is one of the best books I have ever read, especially one which outlines the day-to-day life of the average Afghanistan woman and their cultures and thought processes. It’s almost an ethnological study of their world. If you want to know what’s really going on in Afghanistan from a guts level, this is the book for you. And, bottom line, this was extremely well written. Nice job for a first time author. Well written, well developed. Nice timing and flow. As an editor and crazed literary reader, I give it a five star rating. I couldn’t give it any less. ***** This isn’t just a story, it’s the kind of book which should be studied in school. I remember those kind. They were often life changing. This is one of those books. I plan to read her others. 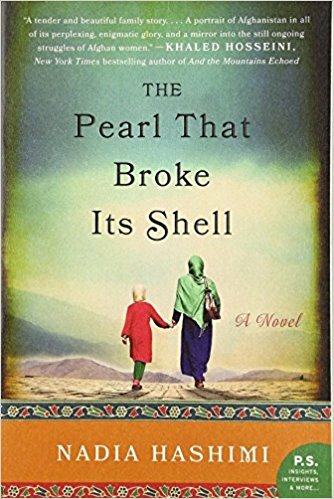 “Afghan-American Nadia Hashimi’s literary debut novel is a searing tale of powerlessness, fate, and the freedom to control one’s own fate that combines the cultural flavour and emotional resonance of the works of Khaled Hosseini, Jhumpa Lahiri, and Lisa See. In Kabul, 2007, with a drug-addicted father and no brothers, Rahima and her sisters can only sporadically attend school, and can rarely leave the house. Their only hope lies in the ancient custom of bacha posh, which allows young Rahima to dress and be treated as a boy until she is of marriageable age. As a son, she can attend school, go to the market, and chaperone her older sisters. But Rahima is not the first in her family to adopt this unusual custom. A century earlier, her great-great grandmother, Shekiba, left orphaned by an epidemic, saved herself and built a new life the same way. I hope you will seek out a copy and read this. You won’t be sorry.